The area is about 13,000 hectares and has a rich biodiversity. The vegetation is a mix of farmland, mature native bush, regenerating bush and scrub, and plantation forests. The farmland ranges from good to very marginal. The mature forest is predominately podocarp/ broadleaved forest, with some magnificent examples of rimu, matai, tawa and pukatea. Pouiatoa contains the southern-most stands of hard beech. The area includes mature native bush with a rich diversity of native species, regenerating native bush and scrub, several significant wetlands, exotic forest plantations and farmland. The area is typical rugged inland Taranaki hill country with steep cliffs and bluffs leading down to creeks. It encompasses a range of landforms including the headwaters of the Urenui River and minor sub-catchments of the Waitara River. 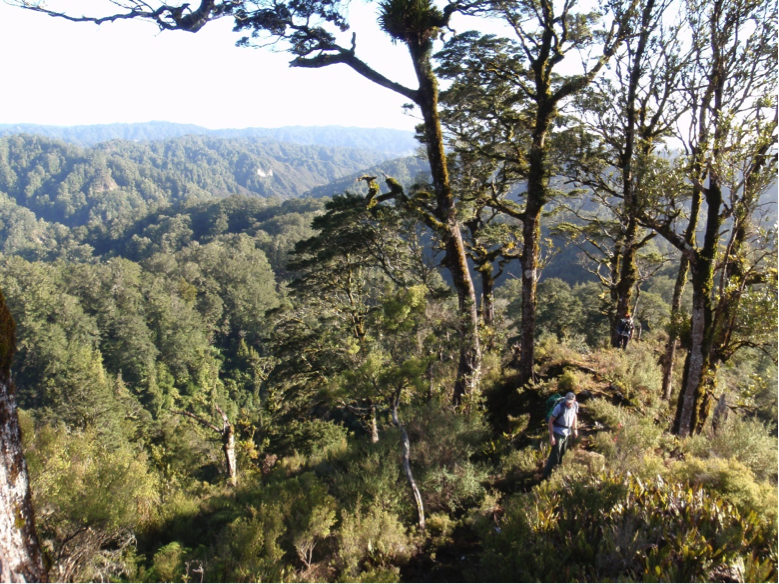 As well as the predominant rimu/tawa forest on the gullies and slopes, the area has a good representation of the Urenui Siltstone steeplands and associated dry ridge forest type where tawa and rimu are secondary in importance to kamahi, hinau, rewarewa, miro, and thin barked totara. It contains one of the southern-most stands of hard beech in the North Taranaki Ecological District – marking the northern boundary of a hard beech “gap” between Taranaki and the western foothills of the Tararua Ranges. It also contains the largest concentration of black beech in the North Taranaki Ecological District. The well advanced stands of induced kanuka forest are of an uncommon forest type in the North Taranaki Ecological District and rare on such a large scale. Pukatea-dominant forest and a semi-coastal outlier of tawa-kohekohe forest, are both present on gentle colluvial slopes. Of note is that the area contains the southern-most population in the North Island of the club moss. We have over 60 kms of tracks which have traps every 100 metres. 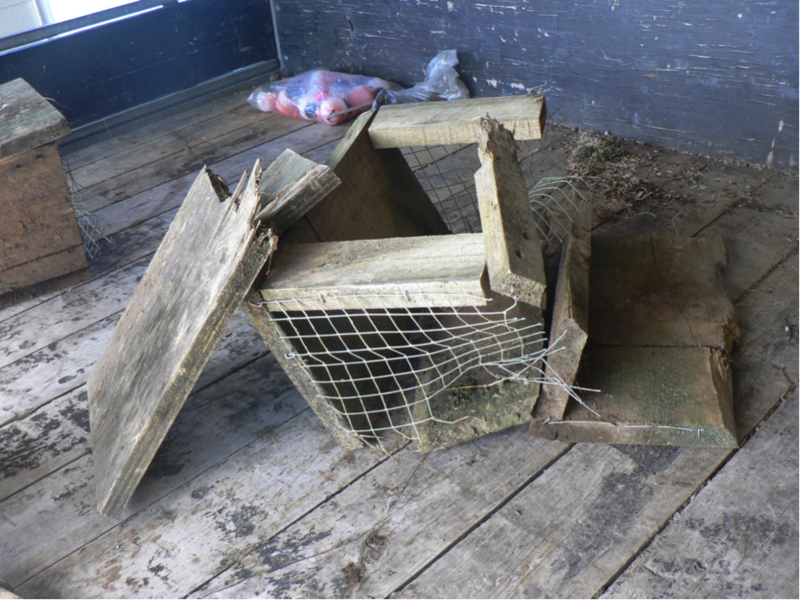 We have 17 trap lines with almost 1300 DOC-200 traps. These are like a giant rat trap. It’s a lot of tracks and traps which need constant maintenance. Our road boundaries also feature traps every 100 metres. Occasionally they get hit by diggers doing serious work. These tracks and trap lines are essential to keep our kiwi checks safe. Kiwi chicks are vulnerable until they are about 6 months of age.